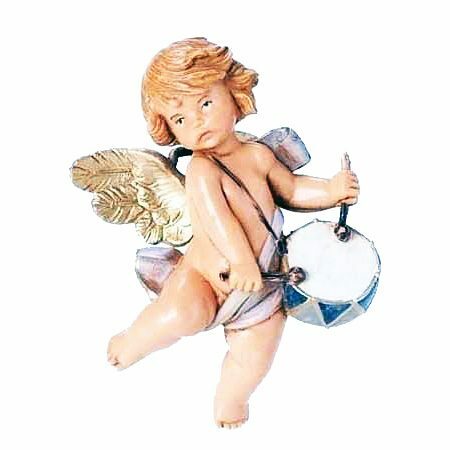 Cherub with Drum Ornament – Add a little bit of magic to your Christmas tree with this gorgeous Cherub with Drum Ornament! Made with careful precision and detail, this special little treasure will certainly fill your home with the holiday spirit and impress Santa on his visit. A fun gift idea for that special person in your life who loves the Christmas season. Made from polymer. Size: 2.5″ x 2″. Christmas Drum Ornaments at DRUM BUM!